This is a surprisingly funny and weird horror film. The film reminds me of a bit of Jaws and a bit of Tremors. Both very good films with this brilliant rewatchability, so it should be great then and is! The cast are very good and I loved the whole crazy islanders vs. Alien thing because it pays off. Not sure why there isn’t an award for playing drunk because it’s really an art form (seriously!). Never seen a cast play drunk so perfectly before and it is so funny. My favourite drunk was Dr. Adam Smith played by Russell Tovey (Being Human). Ciarán O’Shea, the handsome though washed up policeman of sleepy Erin Island, has a daily routine consisting mainly of hanging out at the pub with the local drunks and various other charmingly eccentric characters. But his day is about to go horribly wrong. Teamed up with the unwanted help of Lisa – an uptight workaholic policewoman from the Irish mainland – they suddenly find themselves dealing with dead whales, decapitated fishermen and weird alien creatures or “grabbers”. 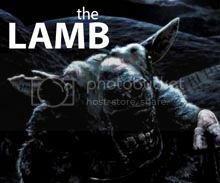 Like a giant squid with tentacles, fanged jaws and a three-foot barbed tongue, they’re making mincemeat of the locals. To start off let’s talk about the acting. The acting was very good especially from its main cast Richard Coyle, Ruth Bradley and Russell Tovey. My favourite of the cast would be Russell Tovery because he is always fun and there is one performance where he is playing extremely drunk and he does it so perfectly you will piss yourself laughing. 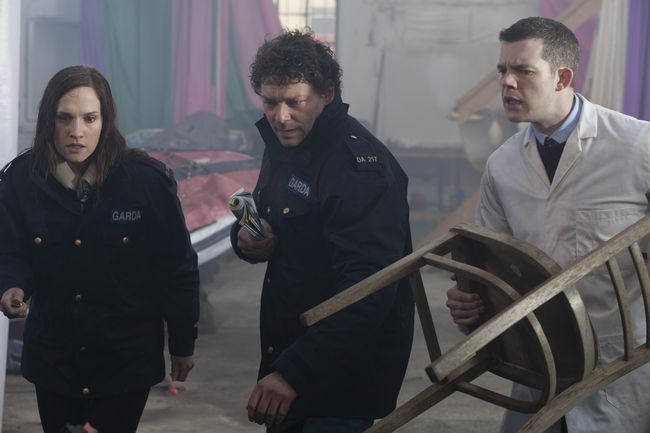 Loved the rest of the cast from the main two Garda’s to the islanders who all have the best Irish accents, it’s like watching Father Ted. I did like the relationship between Ciaran and Lisa even if it did develop a little quick it was fun to watch. There is a scene in the film where they try to get everyone into the pub to safety and get them drunk with ease, the thing I liked about it was the way it felt genuine, because the small group who know why they are there to get drunk are running around this giant party of drunks keeping them all safe and it was damn entertaining. Russell isn’t the only one who can play a good drunk and I think the best performance would go to Ruth Bradley who not only played a uptight police officer but also an off her face drunk. So let’s talk about something more fun like the visuals. The Visual Effects in this film were shockingly good I mean really good. The film only had a budget of £3M, and it didn’t have a damn flaw in this films visuals. The alien looked great and it wasn’t just because of the way it looked and the way it moved around, it’s because of the way the grabber interacts with the real world environment which really impressed me. The seen I thought was the best in terms of visuals was when the bigger Grabber was on top of the police car and started smashing the siren light off the top because it looked really cool plus when it started smashing the car it looked more like a big budget film. Generally I haven’t watched many Irish films but I am always glad to see a good film coming out of smaller countries without much history of cinema, so yay for Ireland (A little UK involvement but I’ll let the Irish have this one). The best reviews I have found would be these “Funny, Gory and with some Feckin’ Good CGI” Total Film. All very true plus it reminded me of a funny scene when a man is screaming “What the Feck is that? What the Feck are they? What the Feck is going on?”. 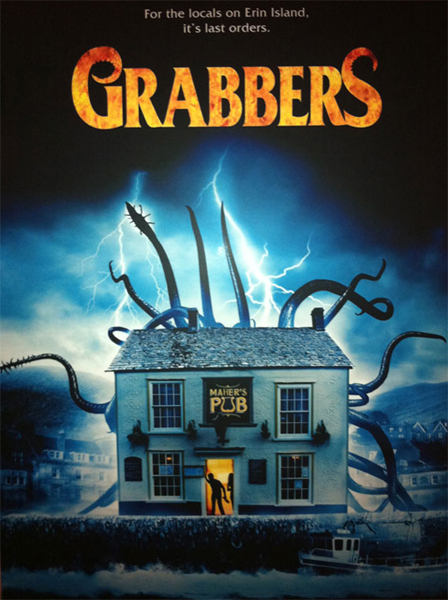 Also “an Irish tentacular Tremors – an icky creature feature with the emphasis on comedy and character, ending (not unlike Shaun of the Dead) in a riotous pub booze-up, with human romance amidst all the extra-terrestrial reproduction. Anton Bitel. It really is an Irish Tremors with tentacles which is really like the best advertisement I can say from my point of view. “Topping the list of great movie drunks is the rubbered Ruth Bradley whose legless performance as teetotal Garda Nolan, getting drunk as a skunk, is paralytic perfection.” Brian Henry Martin. She really did a great swap from uptight police woman to absolutely smashed off her face, really convincing and funny. My favourite scene would have to be hard to really pick but if I had to I would say the scene which made me laugh the most which was when Dr. Adam Smith was completely wasted and walks up to the alien which is really insanely funny. Grabbers are pretty cool aliens. They came from a different planet than my ancestors but are super friendly if you gave them a chance!!! Great post. I have to check this one out now. Must. Watch. This. Thanks and great post! I haven’t heard of this at all, but it sounds fantastic. Thanks for sharing I’ll try to find it on DVD. I never heard of this movie but it sounds like something I would like. Nice article! Never heard of this but it sounds pretty amazing! !